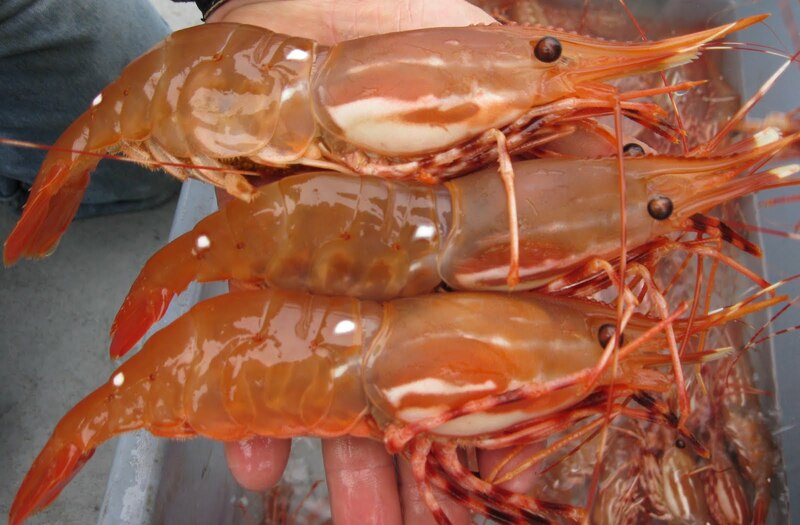 If you are lucky enough to get out in a boat in the inlets around Bella Coola, most of the deep water along the inlet shores is good habitat for the tasty Spot Prawn. You have to set your trips in deep water - usually 250+ feet in depth. We were lucky enough to catch a few this summer and some of them were real giants, getting close to baby lobster tail size. They are good on a skewer BBQ'ed for a few minutes with a coating of garlic butter. An interesting thing about these female prawns is the fact that they started out their life as boys. In a phenomena known as protandric hermaphrodism the males turn to females in their second or third year of life. Kind of weird, but pretty common in shrimp, some apparently just bypass the male phase altogether. It must be tough to not be needed. Grizzly.